Here in Melbourne it's still 43 degrees as I'm getting home from work. The last couple of hours of work have been spent working out what beer I'm going to have first! And here it is Beer Here's Wicked Wheat. This is actually the first time I've review an American Pale Wheat Ale. 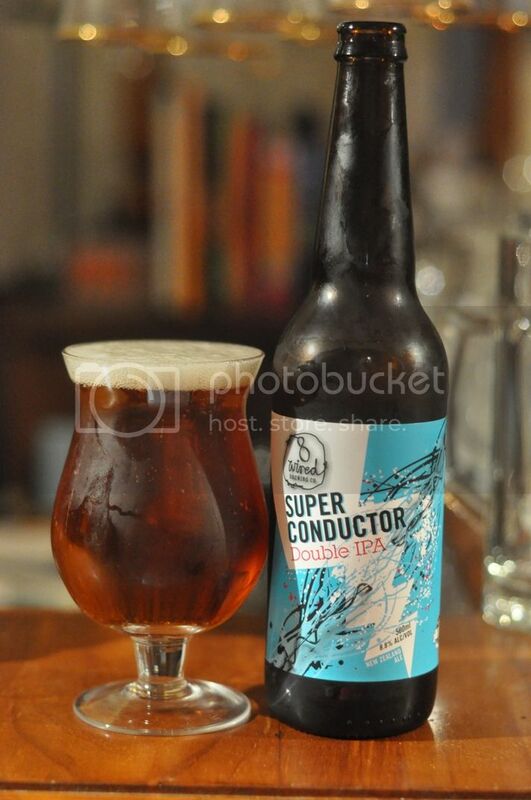 It's a style that I'm quite familiar with, Temple's Bicycle Beer is probably the best known Australian example. Basically it's an Americanized Hefeweizen. Normally they have all the characteristics you'd expect from a Hefeweizen and then there's a fair amount of hopping. Hopefully Wicked Wheat is the perfect thirst quencher! I was pleased to see that the pour was nice and cloudy. The colour was unusually light for a Hefeweizen, which is basically what this beer should look like, but did have the characteristic big white head. The head did dissipate quite quickly down to nothing and there was no lacing left behind to show that there had ever been beer in the glass. On to the nose and it's a doozie! Initially Wicket Wheat smells like a typical Hefeweizen. As the beer warms a little you begin to notice a lot more elements to the nose that you would not expect in your typical Hefeweizen. There's plenty of tropical fruit flavours coming through from the hops, which appear to be quite bitter, and there is also a strong yeast aroma. I'm even more intrigued to try this after smelling it! Beer Here's Wicked Wheat tastes absolutely sensational! In the simplest of terms it's a heavily hopped Hefeweizen, but it's much more than that. There's wheat and some spiciness at first before the hops kick in. The hops provide a mix of citrus and tropical fruit flavours and really help make this beer something special. I will be going to buy more of these! 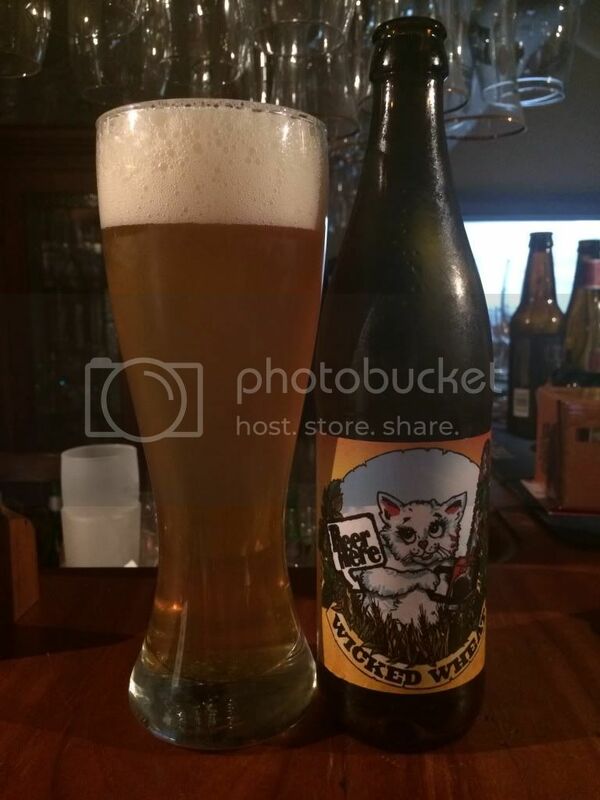 Maybe it's the heat talking but Beer Here's Wicked Wheat is a bloody brilliant beer! It's absolutely achieved what I wanted it to; quench my thirst. The combination of the strong citrus flavour combine beautifully with the wheat. It's just so easy to drink! I'm raving a little at the moment but I think it's justified. Go out and try this beer if you're interested in trying a hoppy wheat beer. P.S. This was supposed to post a week ago while I was away on a road trip... Clearly it didn't.